The list is made on the basis of the money the actors earned during the years 2017-2018. 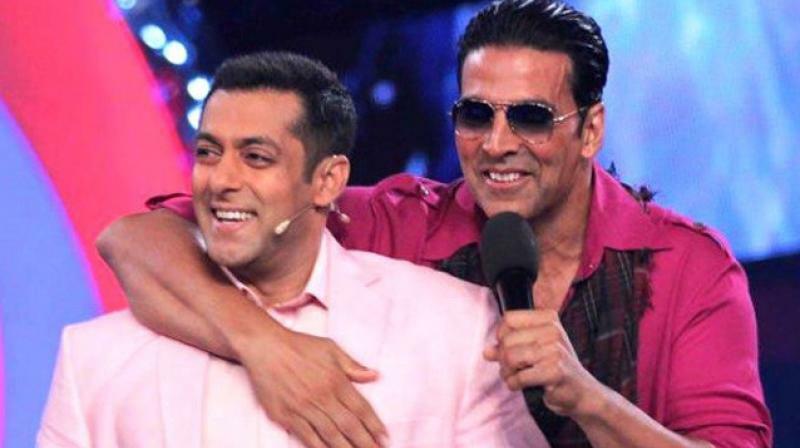 Mumbai: Bollywood stars Akshay Kumar and Salman Khan have made it into Forbes list of top 100 highest-paid entertainers 2018. The top five celebrities on the list are professional boxer Floyd Mayweather, followed by actor George Clooney, Kylie Jenner, Judy Sheindlin, Dwayne Johnson, respectively. As mentioned in Forbes, Kumar who got 76th rank on the list has earned $40.5M this year. "One of Bollywood's leading men has transitioned to socially-conscious roles, such as 'Toilet,' a comedy supporting government campaigns to improve sanitation, and 'Padman' about a guy hoping to provide inexpensive sanitary pads to rural communities. He still mints millions from backend profits and endorsing some 20 brands, including Tata and Eveready," read the description. Salman Khan earned 37.7 million dollars, with 82nd rank. "This Bollywood mainstay continues to produce and star in hits such as 'Tiger Zinda Hai,' cashing in on backend profits. Coupled with a slew of endorsements from Suzuki motorcycles to Chlormint gum, he remains one of India's top earners," read the description about the 'Dabbang' star. On the work front, Akshay will next be seen in the sports drama 'Gold' which is slated to release this Independence Day. The flick is an official adaptation of 2014 Korean film, 'Ode to My Father', and is slated to release on Eid in 2019.